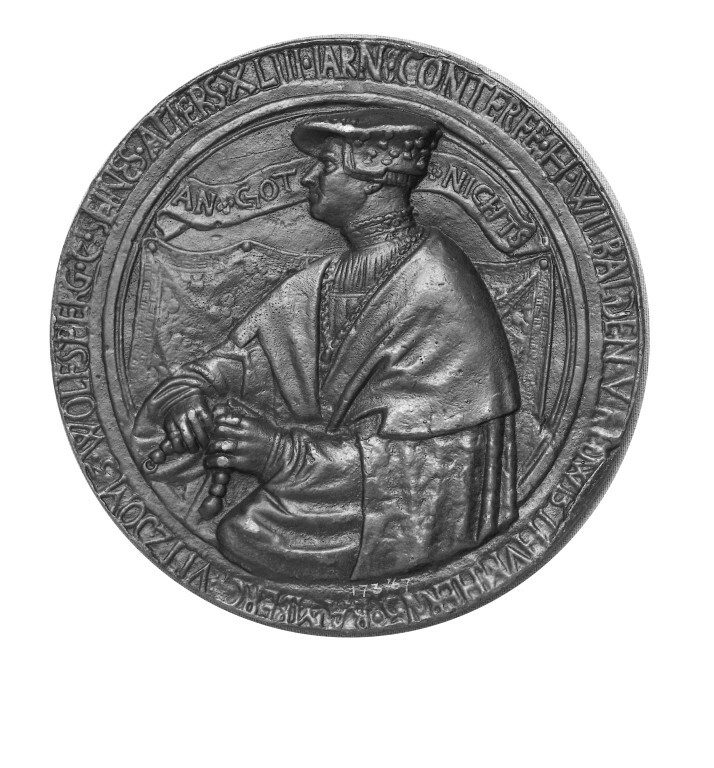 This is a lead medal made by Peter Dell the elder in Germany in 1536. The medal represents Willibald von Redwitz, the cousin of Weigand von Redwitz, Bishop of Bamberg. Stylistically this piece resembles Peter Dell's works, although he is better known as a small-scale sculptor than as a medallist. 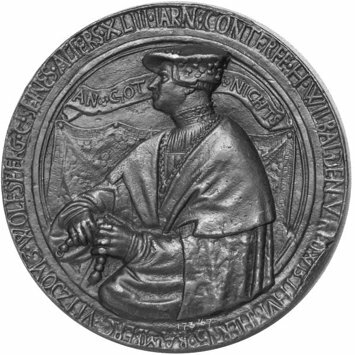 Peter Dell the Elder (active 1501-1549) was a pupil of Tilman Riemenschneider. Peter Dell was renowned as a tomb-sculptor in Würzburg; he also excuted wood reliefs. Provenance: Tross. 140 medals and reliefs were purchased from M. Henri Tross of Paris for £500 by J.C. Robinson for the Museum in 1867.